Feature: Easily Cleaned, Non-Stick , Heat Resistanc. Disposable bamboo skewer. made by 100% natural bamboo. widly used for BBQ,fruit,meat skewer in kitchen wares,restaurant and hotel products. 1. Indoor/outdoor BBQ tools, make Bar-B-Q activities much more easy and funny. 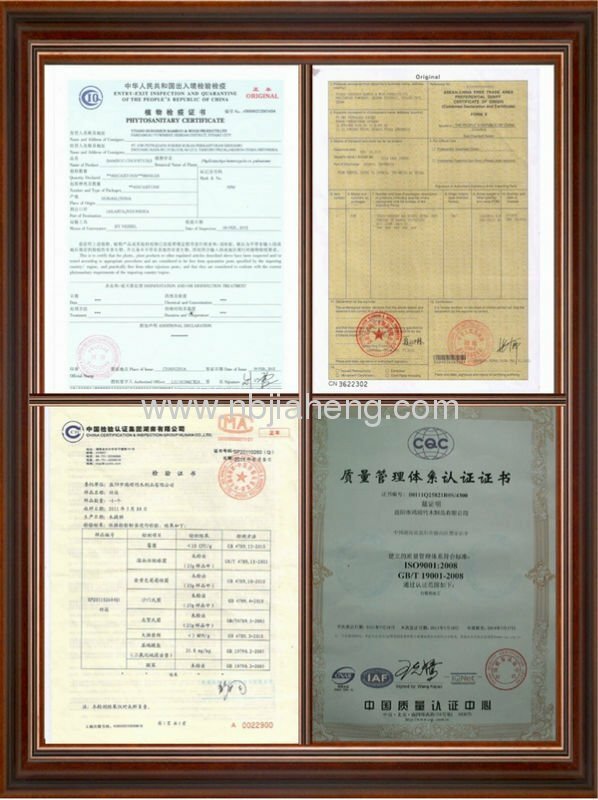 My string of production plants bamboo products: Bamboo machine string, bamboo circular string, bamboo rod, wood string and so on. Specification is complete, species diversity. The growth of more than 5 years is used bamboo sticks by the pumping process, maintaining a string of bamboo's inherent toughness and smooth body. 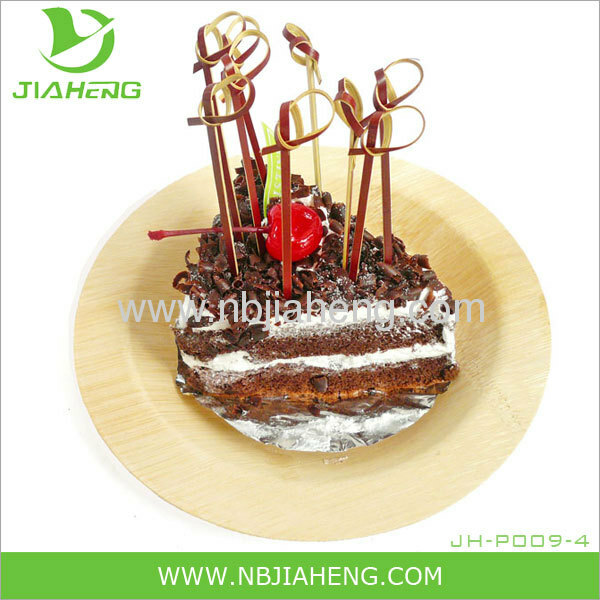 Can be produced according to customer's need to live a special product. With bamboo bamboo stick, in the manufacturing process, like with the non-section of thin bamboo sticks, but maintained the natural section of bamboo bar, so that the largest reduction in bamboo waste, thus reducing costs. 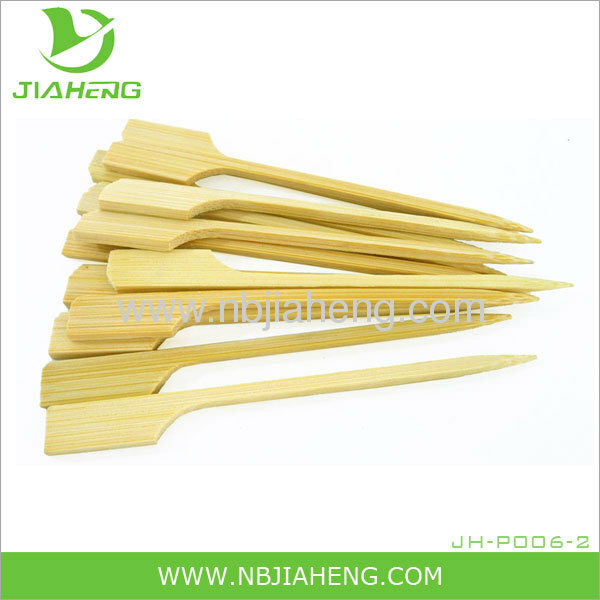 We have the ability for food manufacturers to provide a comprehensive specification, safe, high-quality bamboo stick. Bamboo is emerging as an alternative resource to other types of wood. In the past, people intuitively used it as a basic material for making many different household objects and small structures. However, ongoing research and engineering efforts are enabling us to realize bamboo's true value as a renewable, versatile and readily available economic resource. All-Occasion Dinnerware is handcrafted from bamboo sheath (pictured below) The beauty in using the sheath is that no part of the living bamboo plant is harmed in any way. Bamboo Studio is a revolutionary all-occasion disposable bamboo dinnerware for foodservice and reusable bamboo dinnerware for home use. Handcrafted from the sheath of the emerging bamboo plant, these dynamic new serving pieces are elegant, strong, and environmentally friendly. These bamboo barbecue skewers are great for grilling, especially for satay, shish kebabs and skewered vegetables. These barbecues kewers are made entirely of bamboo, which is an environmentally friendly alternative to wood. These eco-friendly bamboo skewers are sold by the bag of 100. 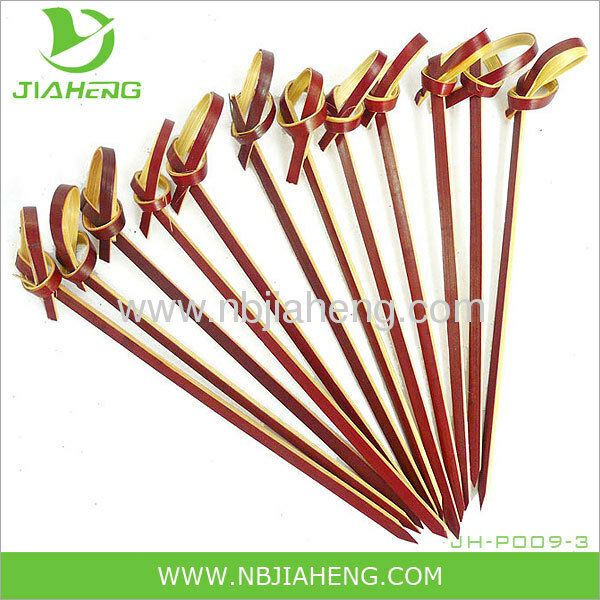 Bamboo skewers with various shape of beads. Make healthy food fun to eat by making kabobs out of it. Simply thread chunks of meat, vegetables and other items onto the skewers and place on the barbecue for a fun and healthy meal. Skewers can also be used for threading other foods, such as fruit and cheese cubes. Soak skewers in water before using on the barbecue to prevent burning.